London will fall silent at 11am on 11 November for two minutes. It is at this time that the Nation stands to remember and honour the fallen who have given everything for the freedom we enjoy today. 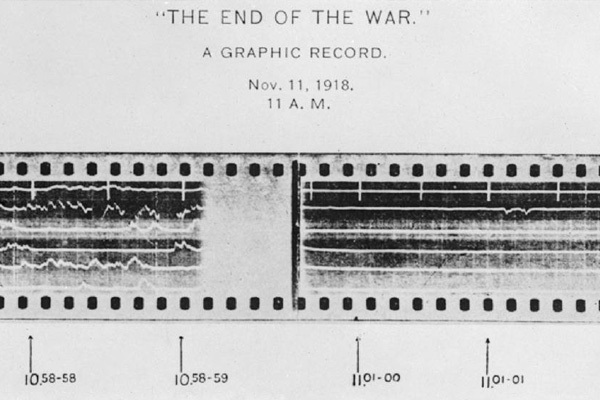 This day of remembrance marks the anniversary of the end of World War One and is especially poignant this year as it is also the 100thanniversary of the end of the First World War. Visitors to London will find they see poppies everywhere, on people’s jackets, cars and in specially commissioned art work. There will be ceremonies at war memorials, cenotaphs and churches throughout London, the country and abroad. The Royal Family and top politicians will gather at The Cenotaph in Whitehall, London for a memorial service. Each year at the eleventh hour of the eleventh day of the eleventh month, the nation observes a Two Minute Silence. Armistice Day on 11 November marks the end of the First World War and is a day to remember and honour those who have paid the price for our freedom. Wherever you are at this time, on this day, you will find people observing this two minute silence. 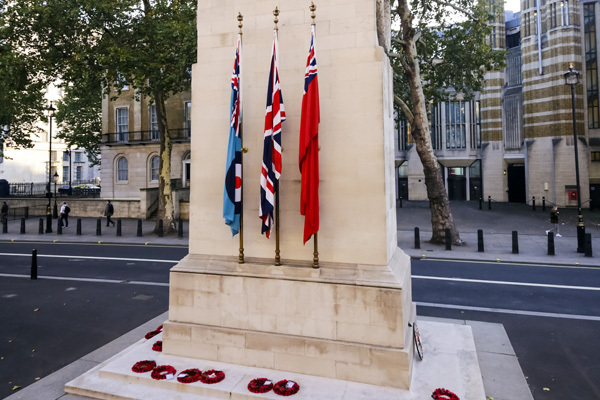 Held at The Cenotaph in Whitehall on Remembrance Sunday, The National Service of Remembrance, helps to make sure no-one is forgotten and honours all who have suffered or died in war. Her Majesty The Queen will pay tribute alongside politicians, representatives of the Armed Forces, Fishing Fleets and Merchant Air and Navy. Faith communities and High Commissioners of Commonwealth countries will also attend. The service will commemorate the contribution of British and Commonwealth military and civilian servicemen and women involved in the two World Wars and later conflicts. This year, with Remembrance Sunday falling on the 100th anniversary of the end of the First World War, it is expected that a greater number of people will want to view the ceremony. There will also be an additional event, the Nation’s Thank You procession taking place immediately after The Royal British Legion parade. In 2018, for the end of the First World War Centenary Commemorations, the Government has organised for an additional 10,000 members of the public to parade past the cenotaph after the Legion organised march has finished. This promises to be a very poignant and moving spectacle. Exploration into how the unprecedented amount of casualties in The First World War has directly influenced how we see the ‘Great War’. Paintings, film clips, sound pieces and documents all combine to explore how symbols of commemoration have endured and also at times been controversial. 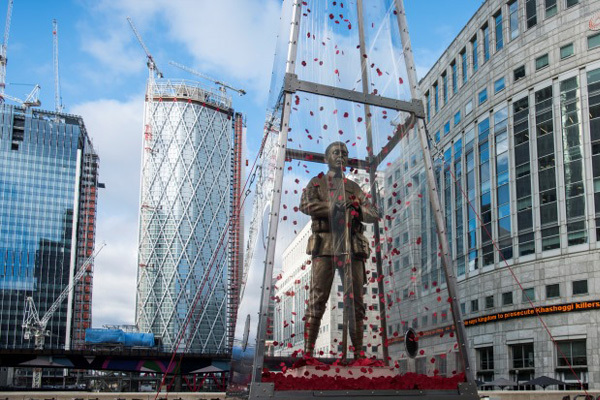 Remembrance Art Trail returns to Canary Wharf with 11 stunning pieces of art by Mark Humphrey commemorating 100 years since the end of World War One. 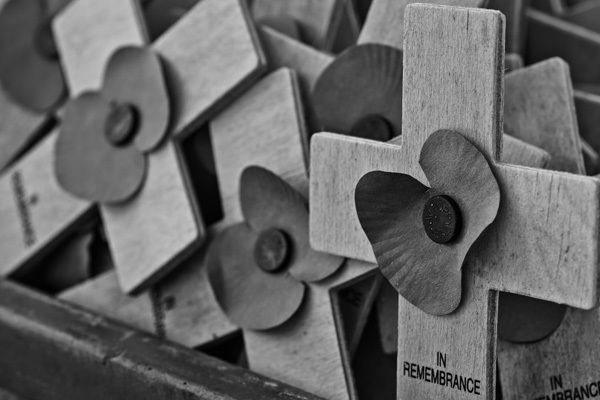 The trail runs from 29 Oct – 11 Nov in association with the Royal British Legion. ‘Beyond the deepening shadow: The Tower Remembers’ is a sound & light artistic tribute to the lives of the fallen, it will be running up to and including Armistice Day. 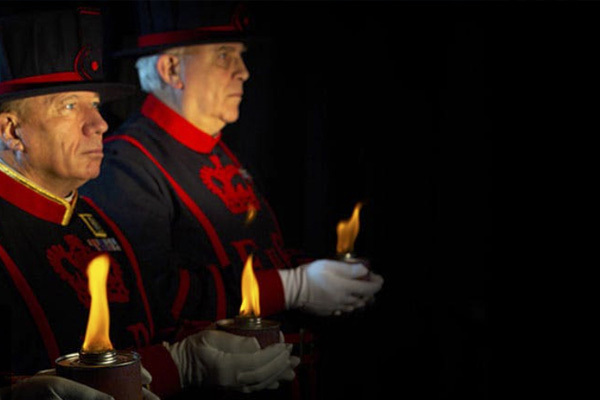 The Tower of London’s moat will come alive with thousands of individual flames over the course of 4hrs. Combined with poetry and music this will form a beautiful and symbolic reminder of the fallen. It runs from 5-9pm. You can walk round the moat for free, which will prove incredibly popular but you will need tickets to go inside the moat. Complimentary travel has also been organised for serving military personnel attending the Remembrance Sunday services in London (terms and conditions apply). There are a number of engineering projects happening over the Remembrance Weekend. We recommend you do check Rail Enquiries website before travelling. Please do share your experience of Remembrance in London with us at London Toolkit in the comments section. We’d love to hear from you.